Welcome to week ten of Re-Play! A ten-week series where we go look back in time to visit some of the greatest games of the past, give them an honest review, and see how well they still hold up today! For our final week, we are going to be looking at the fantastic sequel to our very first entry; Chrono Cross. A sequel for Chrono Trigger had been spoken about within a year of its original release. However, with the advent of new technology, namely the PlayStation 1, Square wanted to do something new with the license. Square tasked Masato Kato, the scenario director for Chrono Trigger, with the job of creating this new sequel. Kato had recently released a game in Japan called Radical Dreamers, starring a female thief named Kid. But the game was received horribly upon release, with many calling the game unfinished. Kato decided he wanted to continue the story of Kid, and bring her into the world of Chrono Trigger in its upcoming sequel, and planned for the game to be grander in every way from its predecessor. The story of Chrono Cross is definitely an odd one. You play as a boy named Serge who lives in a small little oceanside village. Some stuff happens and Serge is pulled through a tear in reality into an alternate reality. And in the alternate reality you end up in, you find out that Serge had died as a child. A mysterious thief named Kid appears, and she helps you start your journey to try to solve the mysteries of this new world, how to get home, and eventually how to save both realities. Chrono Cross may ditch Chrono Trigger’s time-traveling mechanic for this new alternate reality one, however, this does not harm the game what-so-ever. In fact, it helps it by helping create more intimate stories with the characters you meet in the game. Chrono Cross is a massive game, with 45 recruitable/playable characters, and dozens of more NPCs who live intricate lives. However most of the time these lives are vastly different in each reality based on the choices those people made in their lives. This leads to very intimate storytelling, and some very emotional meetings when you bring characters from one reality to the other to meet their other-selves. There are also numerous divergent points in the story, where you choices make a huge difference on the characters you can recruit in the future, leading to a large amount of replay value. The combat system has also been entirely revamped for Chrono Cross. The only true similarities are that you can bring up to 3 parties members with you at all times, and that encounters are not random as you can see enemies on the map before running into them to fight them. However, everything else has been changed. The main goal in combat is to build up ability points by using normal attacks. You get a certain amount of stamina for these attacks, and a certain percentage to land weak, medium or strong attacks. If those attacks land, they then charge up your abilities by 1, 2 or 3 respectively. Then you can use equipable spells and attacks for devastating damage against your opponents. That’s not the end of it though, as there are elements used in the combat as well, and in my opinion, Chrono Cross has one of the best elemental systems in any game ever. Elements are broken down into the colors of red, blue, green, yellow, black and white. Each character has a color assigned to them innately, which then affects their neutral attacks with their element. However all equipable abilities also fall within these six elements, and you can tactically use different colors against each other in combat to devastating effect. For example, red is strong against blue, weak against red and neutral to all other colors. By mixing & matching different colored abilities with different party members innate elemental colors, you can really go deep with your tactics in combat. The art style within Chrono Cross is some of the most gorgeous that the PlayStation 1 had ever seen. The world itself is colorful and full of detail, and each and every character in the game is unique and stylized differently. Every area and character is truly unique and helps grow the world with their visuals. The art style really makes you want to explore the world and meet all of its inhabitants. Plus each of the 45 playable characters has 3 unique special attacks which are a treat for the eyes, and you’ll only see all of them if you play the game to its fullest. The soundtrack of Chrono Cross takes the already beautiful soundtrack of Chrono Trigger and improves upon it. With the hardware growth from the SNES to the PS1, the score was able to grow and evoke more emotion than before. Yasunori Matsuda scored the soundtrack for Chrono Cross, just as he had done for Chrono Trigger, which allowed for the soundtrack to be just similar enough to evoke nostalgia, but still keep it fresh, new and entertaining all the same. In my opinion, Chrono Cross is still a great game. If you want to get the full experience, I do recommend playing Chrono Trigger first because there are some later plot points that may be lost on you if you haven’t. However, the world and gameplay of Chrono Cross are really unique and fun. It succeeds as a game and a sequel because it does not rely on its predecessor in order to be great. 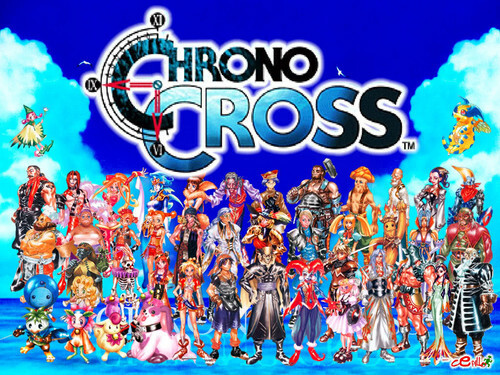 Chrono Cross just built off of the world of Chrono Trigger and improved upon it. If you have the chance, give both this a Chrono Trigger a shot as they are worthy ways to spend your time if you enjoy older games.